Volkswagen Passat entries put a greater emphasis on safety with an upgraded list of standard driver-assistance technology and systems. 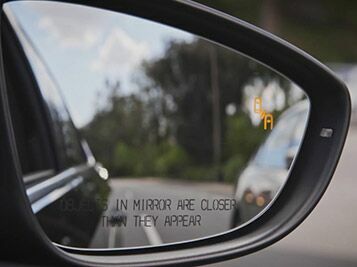 All 2019 VW Passat models will come standard with Forward Collision Warning with Autonomous Emergency Braking, Blind Spot Monitor, an Automatic Post-Collision Braking System and Rear Traffic Alert technology. Add an Anti-Lock Braking System and Electronic Stability Control to the equation and the Volkswagen Passat will upgrade safety at every turn. To keep you connected on your next family adventure, the 2019 Volkswagen Passat will employ the MIB II touchscreen infotainment system that features a 6.3-inch capacitive touchscreen that will provide one-touch access to Bluetooth and SiriusXM® radio. With Volkswagen Car-Net® applications, the VW Passat provides access to Apple CarPlay™, Android Auto™ and MirrorLink® integrated smartphone services. Entry-level Volkswagen Passat Wolfsburg Edition trim levels provide an impressive list of features and an affordable price tag that deliver exceptional value at every turn. 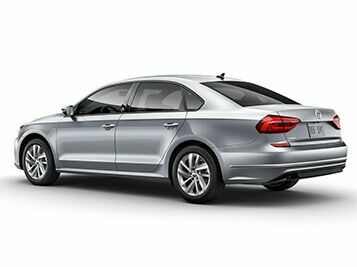 Highlights of the VW Passat Wolfsburg Edition spec sheet include 16-inch aluminum-alloy wheels, a 6.3-inch touchscreen infotainment system, Volkswagen Car-Net® App-Connect capabilities, KESSY® keyless access and push-button start, a synthetic leather interior, heated front seats and heated side mirrors. 6-Speed Automatic with Tiptronic 2.0L I4 TSI Turbocharged 25/36 City/Highway MPG Titan Black.